Aug. 5, 2016: Bombardier reported its second quarter and half year results today, with a net loss of $628m for the half and a $490m net loss for the quarter. Alain Bellemare, CEO of Bombardier. CBC photo via Google images. Results for the commercial division recorded a loss before interest and taxes of $586m. Ilyushin Finance Corp., one of the customers for the C Series that’s been on LNC’s “Red” category as a high-risk customer, reduced its order for 32 CS300s to 20. IFC also dropped five options. Cash flow usage of $490 mn came in better than consensus of ~$625 mn. This was modestly worse than our estimate of ~$410 mn, but overall, it puts them on pace to meet guidance for cash use in the range of $1.0 -1.3 bn, which is still very Q4 dependent. Through 1H, the company has used $1.24 bn in cash and so the implication is that 2H cash flow will be flattish. Bombardier continues spending ~$150 mn per quarter on Global 7000 development. BBA weathering the storm. We have little doubt that the business jet demand environment remains challenging and Bombardier’s book-to-bill declined to 0.7x in 2Q16 from 1.3.x in 1Q1 Management has already acknowledged that another production cut is likely next year, albeit one less significant than this year’s expected ~25%. The magnitude of this next cut will depend on 2H16 order activity, which remains a risk, but YTD at least, orders have been OK. In addition, the adjusted EBIT margin 6.7% was +90 bps vs our estimate. Minor restructuring of a CSeries order. During the quarter, Ilyushin Finance Co. (IFC) reduced its 32 CS300s on firm order to 20 CS300s and eliminated five options as well. We believe this trimming of the order book was not unexpected. The C Series has used $470 mn of cash YTD vs a 2016 forecast for ~$1 bn. Production losses should ramp in 2H, partially offset by lower capex and cash inflows from deliveries. Tags: Bombardier, Bombardier 1H2016 results, C Series, Ilyushin Finance Corp.
Not long after Bombardier launched the C Series at Farnborough in 2008 we entered into what we now refer to as the Great Recession. Had BBD procrastinated, à la Boeing, they would soon afterwards have found themselves no longer in a position to lauch such an ambitious programme and there would likely be no C Series today. Eight years later the C Series has now EIS and again we are about to enter into a recession, possibly a world recession. There are already signs of a slowdown. It could be short lived, it’s hard to tell at this stage. But were it to last for an extended period of time BBD would benefit again from a favourable timing, having banked two significant orders from Delta and Air Canada just before most airlines seem to get cold feet. This means BBD would likely be able to survive a major downturn because its total backlog amounts to more than 60B and they have firm orders for more than 300 C Series, which is for BBD the equivalent of 3000 737 for Boeing because of the difference in production rates. I still do not consider the previous cycle as a market bubble, but I often mentioned that A&B should not increase production too fast in case the situation deteriorates. I haven’t changed my mind about this and I wouldn’t be surprised to hear that A&B no longer consider increasing production even if they have a huge backlog. It’s definitely a “wait and see” type of situation. Like the NSA for Boeing, I have long been a partisan of launching the CS500 without further delays. But I am not so sure anymore, unless Ottawa forwards the cash required for such a big investment. The CS100 has already made more than 100 commercial flights so far and the CS300 will itself enter service in the coming months; so it is still possible that the C Series will get more orders in the coming months if everything goes well with reliability and customer acceptance. The C Series is hot right now, but on the other hand the economy is cooling down. So I would expect the next quarterly results to be just as bland as this one was. But until the next results come in it will still be interesting to monitor how the CS100 is doing in service, with possibly a CS300 EIS before BBD reports again. The Global 7000 maiden flight will also likely be an important milestone to report on. And hopefully the federal government will have made up its mind by then. Launch aid from Ottawa for a CS500 after BBD’s recent near death experience? And I’m doubtful a billion will “do it”. Further, more than anything, this should fire up Airbus, Boeing, Embraer, and Mitsubishi to press for their respective government’s WTO complaints! Yes, this aid, which ever form it will take, is required to develop the CS500 sooner than BBD could do it on its own. Otherwise BBD would have to wait until after the C Series becomes cash-flow positive, sometime after 2020. We now know that the CS500 will use the same wing. And since all the systems will be the same, including the engines, the development cost will be relatively low. That is why it is well understood by most observers that 1B or so will indeed do it. They have nothing to envy BBD in this regard. And they know it. Really? They will do all in their power to choke the predator. As much as the CS500 would be an amazing plane, you must remember that BBD is in the business of making money! Planes and trains allow them to do so. Transport and biz jets divisions have been contributing positively but commercial aircraft division has been struggling for 5 yrs. Great management in place but there only so much squeezing they can do before it is time to throw out the lemons for fresh ones! A solid business plan leads to profits. At the moment, the CS program is more of a hail mary pass and we’re still waiting to see if someone will catch it in the in zone but the time on the clock has definitely run out. That is why massive investments are required at BCA. The CS500 is part of the solution, along with a revamped CRJ family and Q400. It’s a question of priority. But when it comes to ROI the CS500 wins hands down, as it would be quickly profitable and for an extended period of time. Both the CRJ and Q400 have considerably less potential but would each require a similar investment. After Boeing filed a complaint with the WTO against Airbus one thing became clear and transparent: when you live in a glass house you shouldn’t throw stones. Bombardier has already been through this before when Embraer filed a similar complaint. So they know the rules of the game. Besides, this kind a filing does not involve aircraft manufacturers, as it is one country suing another, and not one company suing another as most people think. Previous cases like this had a boomerang effect on the initiator of the complaint and made people realize that all countries who have an aerospace industry actually help their manufacturers in one form or another. Québec found a new way around this by investing directly in the C Series. The provincial government now owns 50% of the programme. We don’t know what shape or form the federal aid will take, or if it will actually materialize. They seem to proceed cautiously, as one part of the contrary is for it while the other, which is the majority (80%), is against. Personally I think Bombardier will use the money that Pratt & Witney returned to the federal government when they realized that the government was making money at their detriment. Because in Canada R&D loans are often tied to royalties, and if the product is successful , like most P&WC engines are, they have to give a “cut” to the government on each engine sold. Unless the product is unsuccessful the manufacturer is better off financing itself, especially in the context of low interest rates. Over the last 50 years BBD has received approximately 3B in state aid, of which only a fraction has not been reimbursed (in many cases with royalties to the government). The new money is not needed for daily operations but to launch new products, like the CS500, Q500* and CRJ[X]**. * Stretched Q400 with RTI wing and new engines (rumours & speculations). ** Revamped CRJ family with single RTI wing and new engines (rumours & speculations). Note: RTI stands for Resin Transfer Infusion, the BBD proprietary technology used on the C Series wing. You are missing the point, the reason why Bombardier, without a history in aerospace, was able to take on state owned plane makers -de Havilland Canada ( including Avro Canada), Canadair and Shorts was that the government would no longer have to prop up, subsidise etc these businesses. When in fact the reverse has happened, Bombardier has consistently come back for more money. “The government announced the sale of Shorts to Bombardier on 7 June 1989 for £30 million. As part of the sale, the government also agreed to write off £390 million of the company’s “accumulated losses and inject another £390 million to recapitalise the group and cover current and future losses, capital investment and training.”- Wikipedia. That was in 1989, and then in 2000 Bombadier sold off the Shorts missile business to its french partner. I forgot the Canadair deal, which was very conditional with the government keeping a share of the company and the IP for the Challenger and CRJ jet series which it had spent C$1 billion or more on. This is the origin of the royalties Normand talks about. I really question an RTI wing for Q and CRJ. I don’t see the value. Better go use AlLi I think in aircraft that size. BUT if they can produce an RTI wing for less then AlLi then it may make sense, however I doubt it. Even with Cseries I see the weight advantage is a bit marginal… I think the money is better spent standardizing FBW across the BBD line and more AlLi and reengine, perhaps a wing re profiling on CRJ and Q as well as AlLi substitution when they move production of the wing and cockpit on Q.
RTI is the cheapest application of composite manufacturing and the process is propriatory. It may not save that much weight, especially when compared to Aluminium-Lithium, but it allows engineers to do certain things they would not be able to achieve with other materials. For example, the extremely refined aerodynamic shape of the C Series wing and its extraordinary performance. My understanding is that BBD would like to carry over to the CRJ family the benefits of having one high-performance wing for three different variants (CS100/300/500 versus CRJ-700/900/1000. BBD also needs to revamp the Q400, which like the CRJ is not selling well. Pratt & Whitney now has a new engine that is lighter and more efficient, and BBD would need to redesign the wing to accommodate it. They might as well use composite which, like this new engine, is more efficient. Besides, they have the facility in Belfast to do it; and like I said above, it’s relatively cheap to make. In other words, if they need a new wing they might as well make it out of composite. And Bombardier is particularly well positioned to benefit from this, perhaps more that any other aircraft manufacturer, because they own the technology and have accumulated a lot of experience with it. 1- INSOURCE all of your coding. Mitsubishi, Embraer and Bombardier have all declared that a carbon wing doesn’t really work for wings smaller than the C series. The reason given, is that inspection hatches don’t scale down ruining the advantages of fibre orientation. Technology in this field is still moving rapidly and carbon is less than half the price it was when Boeing began the 787,so I think that eventually, cost wise you are probably right. – Yes, I remember that you, or someone else, has mentioned this here not long ago. It is an interesting point. Frankly, I cannot properly evaluate the technical merits of this statement, and therefore I cannot say if there is a way around it or not. So I will leave it to the BBD specialists to figure it out. It’s only a rumour anyway, and I am speculating on that rumour. My understanding is that RTI offers some advantages that are not available to other composite techniques. But I don’t know enough on the subject to elaborate further. Obviously Bombardier are exploring, and exploiting, the advantage they have with RTI. – And RTI is again half the price as standard CFRP because of its dry process. In other words the C Series wing is proportionally speaking 1/4 the price the 787 wing was initially. The reason why these states owned those aerospace companies in the first place was because they were bankrupted. In a free enterprise system, which does not exist anywhere on earth, many aerospace companies, if not all of them, would not last very long without government help. Rolls-Royce is one example. They choked on the RB-211 and they were rescued by the British government. Lockheed had a similar faith because of the L-1011 and had to be rescued by the US government. And the two still thrive today and continue to need government money from time to time and in various forms. Shorts was also rescued by the UK government. When time came to privatize it again there were only two options. One involved the acquisition of the company by a consortium that intended to sell it piecemeal (a similar faith awaited BBD if had not been controlled by a family). The other bid was by Bombardier, which had a plan to integrate the company into one aerospace conglomerate. Today Shorts is thriving like never before and is the largest employer in Northern Ireland. Yes the government still has to inject some money from time to time. But that money was used, among other things, to develop the RTI technology of which the C Series wing is made, and also to build a brand new factory to fabricate that wing. The British government played, and still plays today, a key role in making Shorts a prosperous company. All for the benefit of the taxpayers. For it’s a two-way operation. The tax payers bring the money forward and the companies and their workers return it to the tax payers. Both being tax payers themselves. It does not always work this way though. Concorde is an infamous example of this. But so far Bombardier has done remarkably well with very little money “borrowed” from various governments. Bombardier had no history in aerospace, and over a relatively short period of time became the third largest commercial aircraft manufacturer in the world. How did they do it? They did it with the help of various governments (Canada, UK, and Ontario). Those transactions, including the subsidies, were for the benefit of the workers, and ultimately for the benefit of the tax payers. And it’s the same thing all over the world. The names Shorts, de Havilland snd Canadair may have disappeared, but those companies still exist today and employ thousands of people who pay taxes that will be used to keep the system working. Because it cannot work on its own. You cannot be for aerospace and free enterprise at the same time. It is simply not possible. Boeing is one of the most subsidized company in the world and American tax payers benefit greatly from this situation. With a few exceptions tax payers benefit from aerospace subsidies all over the world: Europe, UK, Japan, Brazil, Russia, India, Canada and the United States, to name a few. To think otherwise is based on mythology and stems from ideology. And the reason for selling to Bombardier was so they could continue to subsidize the business ? I dont think so. It clear while the concept and final result of the Cseries has been outstanding, there were some serious misteps due to family control. When GM went under and was part rescued by the Canadian and Ontario governments, the shareholders and top management were given the boot, why does the the current board have two Beaudoins and one Bombardier plus at least one long time Bombardier exec. plus a former premier of Quebec and one other whos only other corporate connection is other Beaudoin entities. 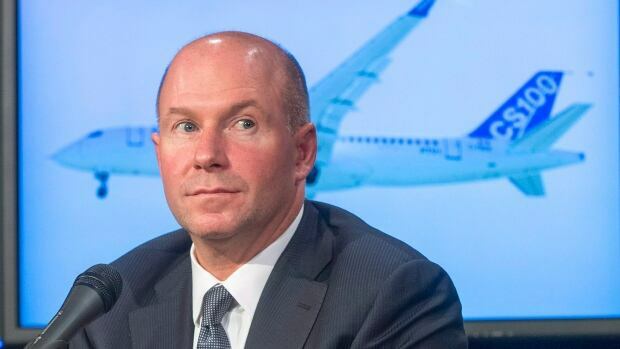 As a shareholder at Bombardier, I agree with the notion that if Bombardier want the $1 Billion under discussion, the Bombardier family need to give up family control. The mismanagement has been eggregious, and such cannot be allowed to continue without check, in the public interest. If they would rather go it alone, then so be it, I think that would be the wrong decision, but hey, par for the course, but I think most observers of the situation can see what the sticking point is. Apart from the Learjet 85 project, can you name me one unforgivable mistake that Laurent or Pierre Beaudoin may have done since 1966, for Laurent, and 2008 for Pierre? After you will have produced your list of examples of “egregious management” I will produce, if you wish so, my own list of their remarkable achievements. After all they were already in position when you chose to purchase the stock, unless you purchased the stock when Armand Bombardier was still alive. And before you made the call I assume you had studied the history of the company and had evaluated its management members, had you not? This obsession with wresting control from the family makes no sense. The family has show themselves to be responsible, and has served Canada very well in terms of their stewardship of Canada’s aerospace industry. The have done Canada a great service. When shareholders have lost, the family has also lost. As a shareholder I would be 100% against the family losing control. Look at Nortel as an example of what can happen. This is what you get when you have transparent accounting rules for Bombardier vs the rules for Airbus and Boeing when you can just push it out as a further loss. How much now for the 787? 30B? The 30B in losses for 787 I believe do not include the R&D costs either, estimated at about 15B! !